In 2009 we saw the school we support achieve many successes in winning competitions for sponsorship. 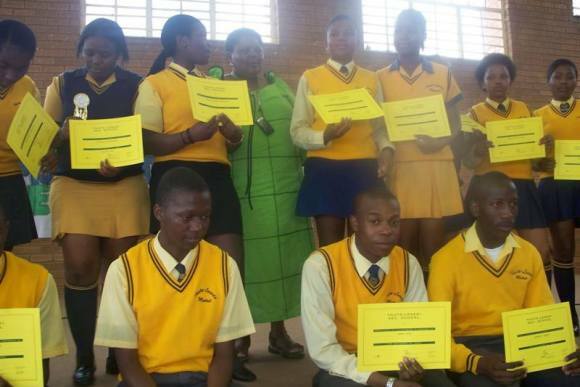 Thuto Lesedi Secondary school also achieved the best grade 12 (Matriculation) results in South Africa. Nine pupils sponsored through WFTISA were among those who passed the final examination. Joseph Ngwenya won a sponsorship, paying fees and a maintenance grant to study Engineering. The support they received meant that they did not have to worry about fees and the cost of essential books. The food program WFTISA supports ensured that they were no longer hungry all the time. They could learn. The School received three sponsors in 2010 for grade 12 performance in 2009. The first one is Peermont Global that will be sponsoring the school for 5 years, giving R400,000 per year. The second sponsor is SAVCIO who built two laboratories, one for Maths and one for Science. Both centres will be fully equipped with computers, so at last, pupils will have opportunity to become computer literate. This company will also award scholarships for best pupils who want to study engineering. The school has also been given 2 Teacher “Ambassadors” to help pupils with Maths and Science. 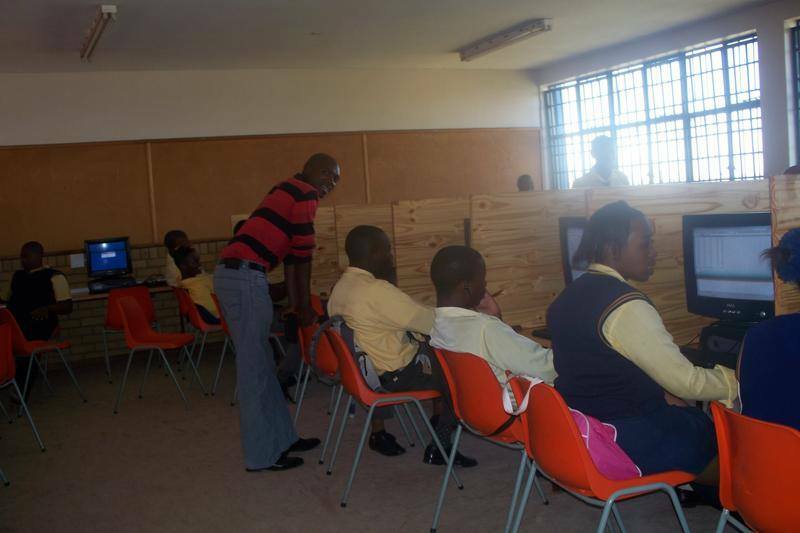 The Teach SA will also be donating mobile class rooms to alleviate the shortage of classes due to the high enrolment of learners. Standard Bank SA will be assisting with internship and scholarship for our Maths, Science and Accounting top pupils. The highest achieving Maths and Science pupils was invited to a luncheon and given an incentive of R500.00. In 2009, we made a one-off payment of first year university fees, for Ntebaleng Maruping. WFTISA had sponsored her from year 8 through to year 12 at Thuto Lesedi Secondary School. She had not been able to get financial support for year one. She passed the end of year Business Management course examination, and was admitted to the second year, while applying for a student loan. We at Waltham Forest Thuso in South Africa thank all sponsors and supporters who have made all this achievable. We do believe that with your continuing support we will “Make Poverty History Through Education” This year we will be sponsoring 52 pupils. We thank Gerald, Naima and Adam for welcoming guests to their home for the Garden Party. 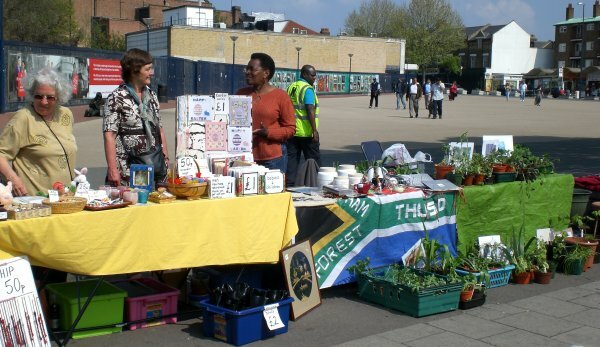 On 7 June the event raised £1156.65 for the food project. In 2009 the money we raised helped to increase the number of pupils getting lunch at school from 220 to nearly 300. The number of those receiving food parcels to take home for evenings, weekends and school holidays also increased. In a school of nearly 2000 pupils this still does not provide for all those who could benefit from just a little more food in their day. 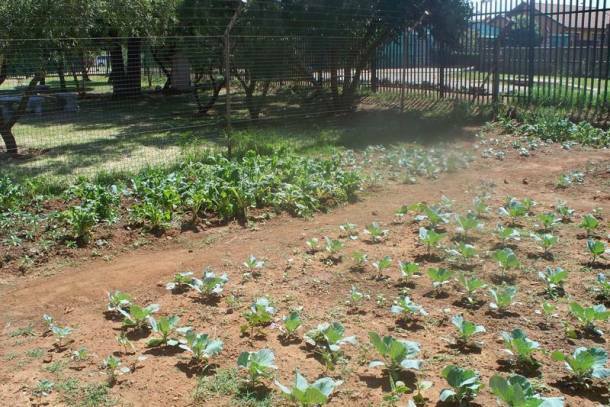 In a project developed in partnership with the local community, the school has started growing vegetables. 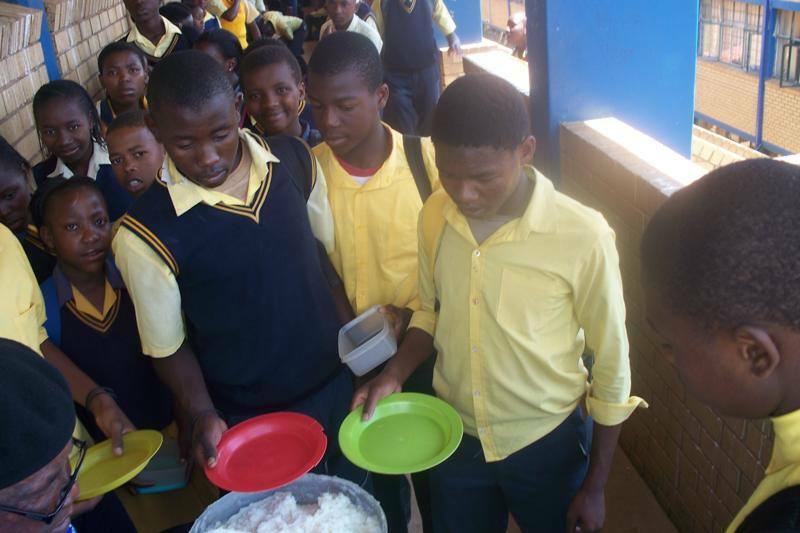 These supplement meals provided in school and in the homes of poor participating community members. Our support for Community H.E.A.R.T’s “Book and 10pence” appeal continues. In 2009 WFTISA collected 3,849 books for the project. Community H.E.A.R.T sends books to historically deprived schools, with no libraries, in South Africa. The kind of books sent is fiction and non-fiction. The objective of the campaign is to promote an environment where children and young people enjoy reading. 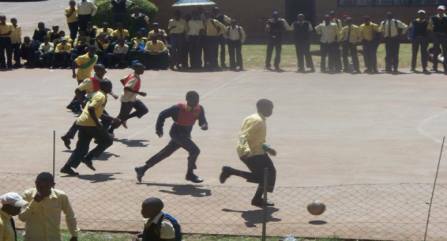 The school is currently looking for a donor or sponsor to help in developing recreational facilities.